"It's like musicians in their bow-ties playing on board the Titanic," remarked a friend of mine as I was talking to them about the EU's 60th anniversary celebrations in Rome. A mild exaggeration, shall we say - but the image sticks in my mind. Because as the leaders of the EU's 27 countries clink champagne glasses in plush, security-tight surroundings on Saturday - all is not well in the Europe outside their gates: youth unemployment persists (especially in the south), terror attacks, illegal migration, inequalities in the Eurozone, Brexit and a tide of anti-establishment populist nationalism across much of the bloc. To name a few of the challenges. Not to mention "strongmen" Presidents Trump, Putin and Erdogan who all eye the EU with suspicion and some animosity. 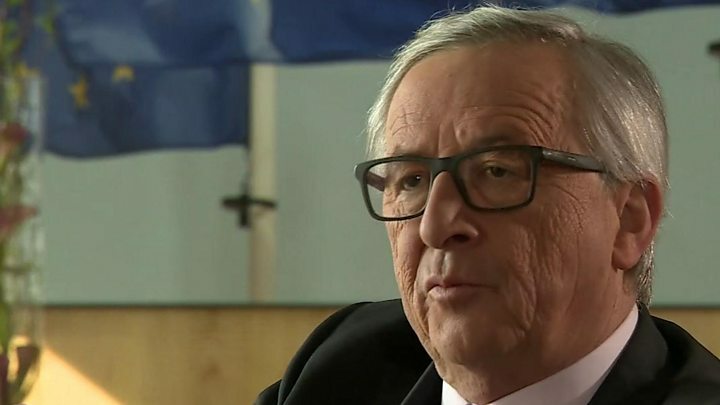 "Yes," conceded European Commission President Jean Claude Juncker to me in an exclusive interview. "We are not in the best form and shape we could be in." But, he insisted, the EU was still young, adding that what the bloc had achieved in six decades was remarkable - Europe is now a continent of stability and peace. But that was the vision, the goal after World War Two, I countered. Surely there's a need for a new vision? Something to capture the public imagination. To re-enchant the disenchanted? Mr Juncker recently published a White Paper on the future of the EU. where he explored five different scenarios - from increased union to paring pooled powers back to the common market only. In between, he breathes life into the old idea of a "two-speed Europe" - where some countries share more sovereignty for example over defence or migration, while others opt out. That proposal appears to be the most popular amongst politicians and civil servants, but to me it sounds like an open admission that there is, in fact, no common EU vision - with everyone doing different things at different times. All this at a very sensitive moment - when one of the EU's biggest and most influential members, the UK, is about to walk out of the door. And unity amongst the remaining 27 countries is key for Brussels - to prove to the outside world that the EU still stands strong. Theresa May's absence at the 60th birthday bash on Saturday will be screamingly noticeable. "Of course we will miss her," President Juncker told me. "I am everything but in a hostile mood with Britain. Britain is part of Europe, and I hope to have a friendly relationship with the UK over the next decades." Well, that of course will depend on what kind of future relationship the UK and EU can hammer out during Brexit negotiations. I wondered how the EU would balance the competing desires to keep the UK close yet not give it too good a deal so as to avoid the risk of other EU countries walking away? Mr Juncker admitted he did not want any more "exits": Nexit, Oexit, Dexit, Frexit or otherwise. That would be the end, he said, if three, four or five more countries left. The EU would collapse. But he doesn't believe that will happen. The EU and the Commission, he said, would negotiate with the UK in a friendly way - fair but never naive. Interesting choice of adverbs there. Echoed precisely in a speech delivered on Thursday by the EU's chief Brexit negotiator - Commission man Michel Barnier. Now, does that refer to talk of the UK aiming to cosy up to individual EU countries (like the Baltic nations with promises of security co-operation) to cajole them into pressing for a good trade deal for Britain? Or does it perhaps allude to the government rejecting the idea of an "exit bill" as part of the EU divorce? It's an invoice that Mr Juncker insists must be paid. "You cannot pretend you were never a member of the union," he practically spluttered. "The British government and parliament took on certain commitments as EU members and they must be honoured. This isn't a punishment or sanctions against the UK." Despite mutterings about the Commission drawing up a £50bn ($63bn) bill, Mr Juncker said the precise amount remained to be "scientifically calculated." But one thing he insisted that could not be haggled over was the fate of the 4.5 million EU citizens living in the UK and British citizens currently living across the EU. President Juncker said no-one had a right to eject them from their homes and jobs. "This is not about bargaining," he insisted. "This is about respecting human dignity." As they mark the EU's anniversary on Saturday, the bloc's remaining leaders will look with furrowed brows towards the future. But they may well take heart in a new trend emerging. While populist nationalist, anti-establishment candidates enjoy strong followings, at the same time unashamed Europhiles like the youthful leader of the Netherlands Green party, the French presidential hopeful Emmanuel Macron and the German candidate for Chancellor Martin Schulz resonate with the large sections of the public too. But Mr Juncker and others I've spoken to in the lead-up to the EU's anniversary, like his Vice-President Frans Timmermans and Antonio Tajani, the new President of the European Parliamant, all believe this is no time for complacency. In just a few days' time Britain will deliver a letter to Brussels, officially triggering the countdown to Brexit. How will Mr Juncker feel that day, I asked. "Sad," he replied. "It's a tragedy. "A failure and a tragedy." 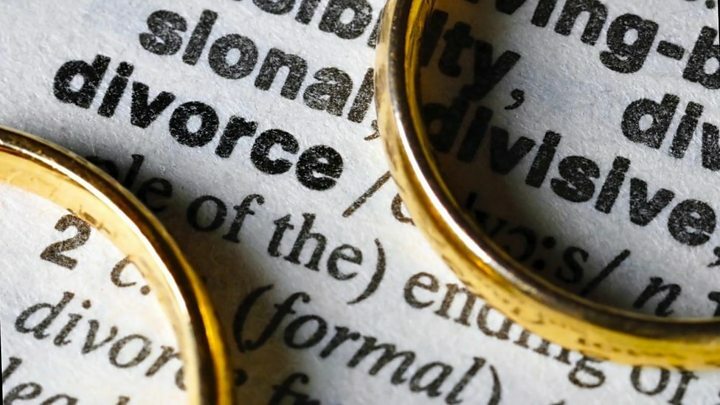 Video Brexit divorce: 'conscious uncoupling' or bitter breakup?